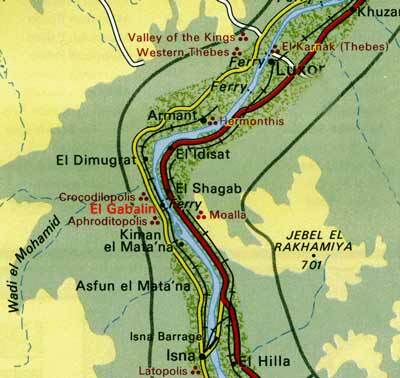 Gabelain has the remains of an important settlement dating back to the prehistoric times, situated on a rocky ridge 28km south of Luxor. There are the remains of a totally destroyed temple dedicated to Hathor dated to the 1st Dynasty [list of dynasties]. Pieces of the outer limestone casing have important reliefs and have the names from Mentuhotep II (Nebhepetra) to those of the 3rd Intermediate Period (stamped bricks of Piy Menkhepeerre of the 25th Dynasty), and the pillared tomb of Iti with wall paintings from the 11th Dynasty (now in the Museo Egizio di Turino. Many of the most important artefacts from antiquity are those relating to people, especially those who can be related to a king or ruler. 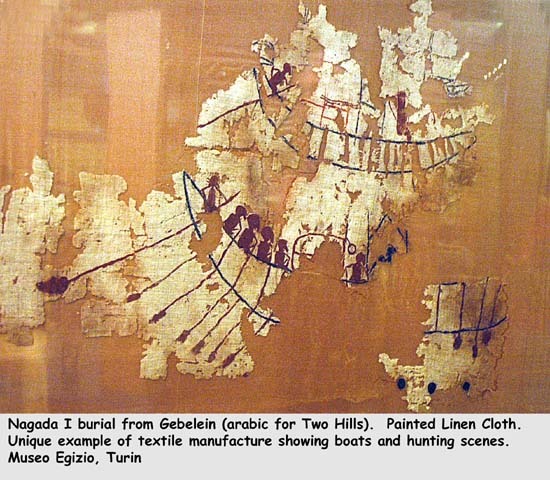 The painted linen from Gabelain, which is a very rare find, seems to be one of the earliest representations that can be accurately dated. 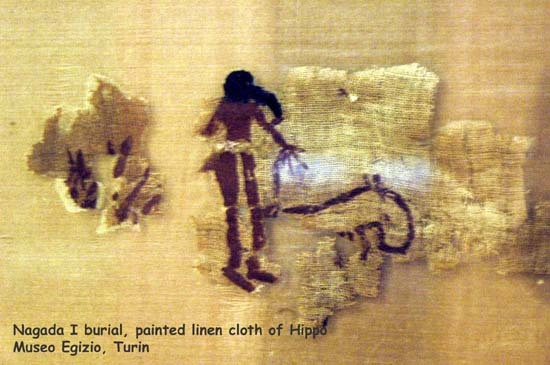 Although the linen is very fragmented it indicates a dance, a hunt and a procession in a boat. 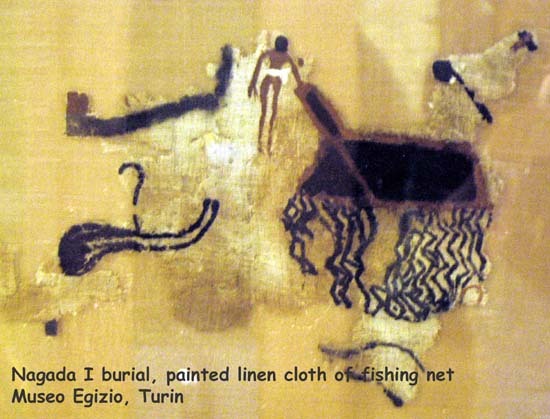 In one boat (see figure 1) there is a person, wrapped in a mantle resembling later Heb-Sed ritual attire, with a flail in one hand. In the lower boat (figure 2) the figure of a man is kneeling, hands tied, with mace over his head - a classic smiting scene. Museo Egizio di Torino, Italy.